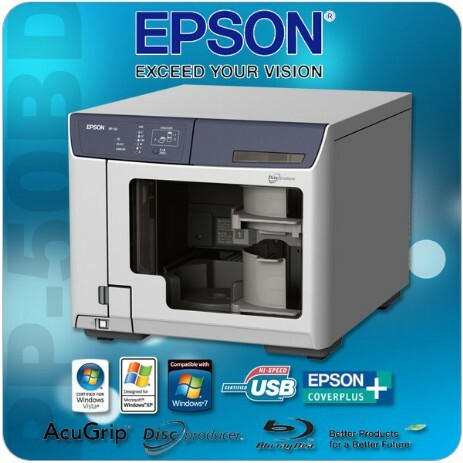 The Epson PP-100AP Autoprinter delivers professional prints on CDs and DVDs discs. The PP-100AP processes up to 95 discs per hour and is therefore ideally suited for quick and efficient large batch production of professionally designed digital media. The new DiscproducerTM delivers high quality printing while keeping costs low. It will be available through qualified Epson representatives from mid January 2010. CDs and DVDs discs are frequently used in the entertainment and imaging industries but there also is an increasing need for businesses, agencies and public organisations, who need discs with a professional look and finish for their digital handouts. Today, marketing departments prefer sending images and movies on CDs and DVDs to customers and partners.